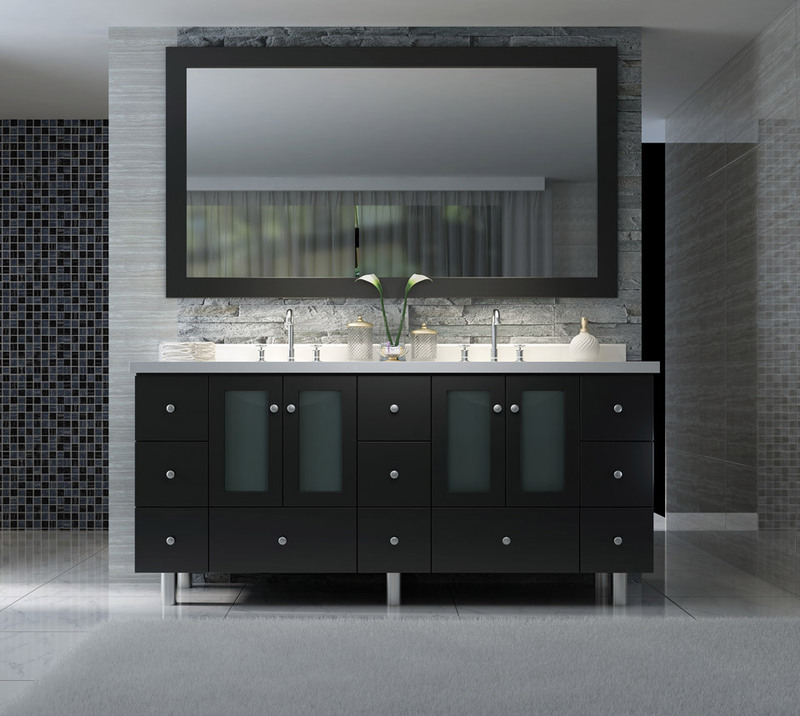 Modernize your bathroom remodel with an Americano bathroom vanity from Ariel Bath. These black bathroom vanities are a chic choice, complete with satin nickel finish hardware and soft-closing dovetail drawers. Ceramic, under-mount sinks with space for a widespread faucet finish out the pure white countertops.